A tale of two taxes. Last week we had the unpleasant spectacle of a smug George Osborne at Davos bragging of the amazing tax deal he had negotiated with Google. Since Davos, a tax deal that has rapidly unravelled. A tax deal so amazing, it was jaw dropping. Following a six year investigation of Google by the tax authority HMRC (cost of investigation, details of investigation, unknown), Google was to ‘voluntarily’ pay £130 million in tax, for a period covering ten years. This works out at a jaw dropping tax rate of somewhere around 2 to 3 percent. 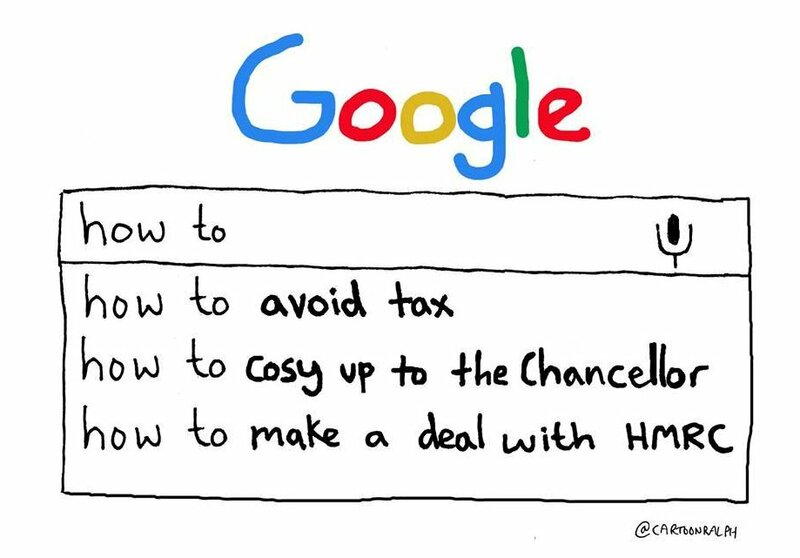 A good deal for Google, a very poor deal for long suffering taxpayers, who would be only too happy to negotiate with HMRC a tax rate of 2.5%. The current rate of corporation tax is 20%. Osborne wishes to lower to 18%. The lax tax regime means corporations have amassed a massive £750 billion cash pile, dividends are at a record high. There is very little investment, as the corporations are risk averse, and see no future prospects. Earlier in the week, Osborne was called by John McDonnell to appear before the House of Commons to explain himself. He lacked the courtesy to turn up, instead sending a clueless junior minster. On Wednesday, Jeremy Corbyn wiped the floor with David Cameron, who unable to explain the tax deal, shouted infantile insults. Of what relevance the tax under the last Labour government? We know Alistair Darling was as useless as George Osborne. The list of those challenging this tax deal grows by the day. Google has cleverly planted dozens of their people in White House, Downing St, other governments. Most brilliant new lobbying effort yet. Rupert Murdoch, himself a serial tax dodger, has attacked the deal. Mayor of London Boris Johnson has attacked the deal. James Anderson, major investor in Google, has attacked the deal. A German Green MEP has attacked the deal. The European Commission has said that if they receive a complaint they will launch an investigation. In Italy, in France, Google pay a higher rate of tax. On buying goods and service, people pay 17.5% VAT. People pay higher personal income tax. The HMRC investigation into Google should be published. The tax returns of Google should be published, as should of any company with a turnover in excess of a million pounds. The tax returns of Members of the House of Commons (and of the Lords) should be published. In parallel with the Google tax scam unravelling, two people won their Appeal at the Court of Appeal against paying Bedroom Tax on Human Rights grounds. One a lady who has a secure room to which she can retreat if in danger of being attacked, the other a disabled man who looks after his severely disabled grandson. What can only be described as evil, the government is to appeal the decision to the Supreme Court. What can only be described as bizarre, their statement that the Appeal Court contradicted the ruling of the High Court. Not true, as a superior court, the Appeal Court overruled the Supreme Court. People, who could do without the stress, are to be put through more stress by the Evil Doers. The number of people this ruling will effect, is small. It will probably cost more in legal fees. The government points out the disabled man receives a discretionary payment, thus does not have to pay the Bedroom Tax. This entirely misses the point. He should not be forced to claim, and if discretionary, could be terminated at any time. It was not ordinary people who caused the banking crash in 2008, that took down the economy. It was the criminal activity of bankers and lax banking regulation. And yet, not a single banker is in prison. The banks were bailed out, the bankers draw their obscene bonuses. Austerity is a political choice, it is an excuse for Shock Doctrine, slash and burn of public services, cuts to libraries, benefits, an excuse to transfer wealth from the poor to the rich. The Bedroom Tax is a tax on the poor. If we need a Bedroom Tax, then levy on those with more than five bedrooms and a household income in excess of £100,000. Great to see @MazzucatoM highlighting to @jonsnowC4 extent of corporate influence over tax *policy* – "it's not just evasion and avoidance"
It is not the just the tax dodging and avoidance. We have, as Mariana Mazzucato highlighted on Channel 4 News last night, companies like Google holding meetings with ministers to determine tax policy. 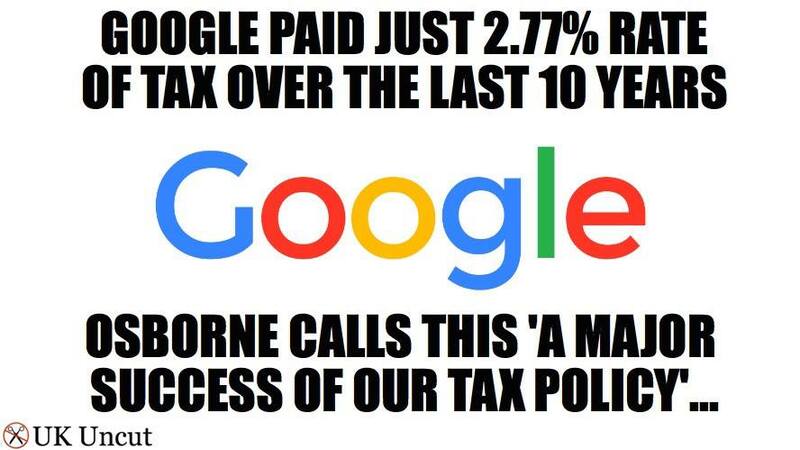 Senior Tories met Google chiefs twenty-five times in run-up to their shameful tax deal. Please sign the petition calling upon the European Commissioner Margrethe Vestager to investigate the Google tax scam. 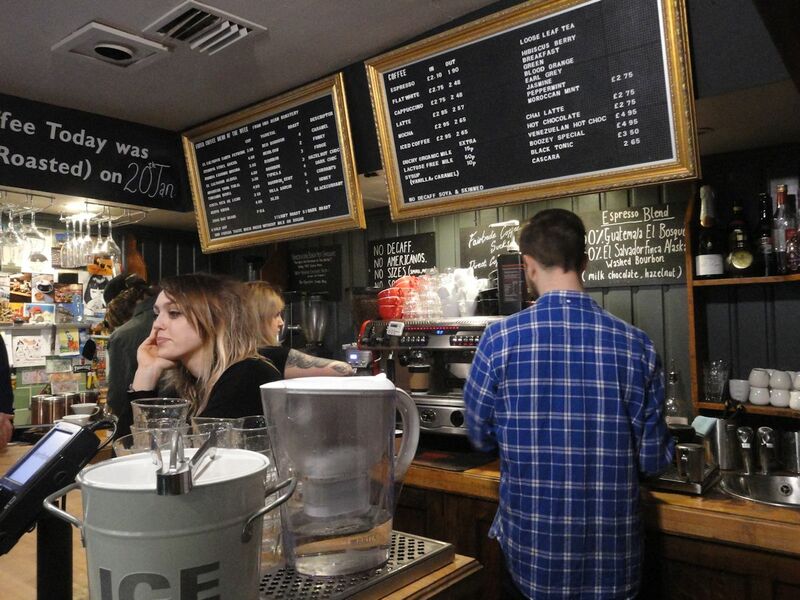 Lincoln is spoilt for choice for quality coffee. The obvious is Stokes on High Bridge, then there is Stokes at The Collection, plus there are many indie coffee shops that serve Stokes coffee, for example Café 44 in Sincil Street, though if I am going to drink Stokes coffee, I may as well go to their coffee shop on the High Bridge. An indie coffee shop I have never tried, is Coffee Aroma Coffee House, or Coffee Aroma. I was at Springbok Computers having my laptop serviced, and an excuse to try the coffee, asked Matthew if he would like a coffee. Very nice atmosphere downstairs, packed out. I did not look upstairs. I was surprised at the number of staff serving. A cappuccino for me, caramel latte for Matthew. I watched the coffees being prepared, always a pleasure to watch skilled baristas at work. One of the girls, when she saw I was taking the coffees away offered me a tray to carry with. Would you like it back, I asked? No, it can be recycled. Basically the same as would put eggs in, except shaped for takeaway coffee cups. 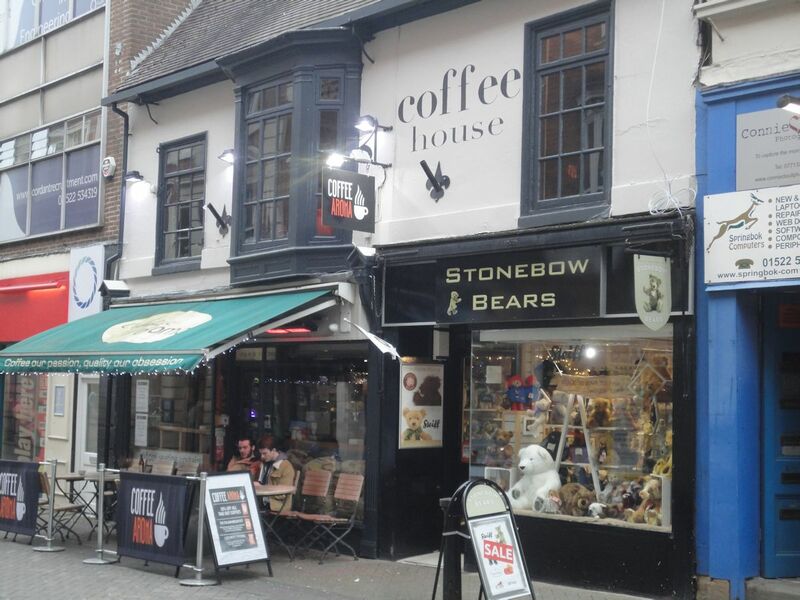 Coffee Aroma Coffee House is located off the High Street below The Stonebow in the centre of Lincoln. With such an excellent choice of quality coffee and tea in Lincoln, it begs the question why anyone drinks the disgusting stuff they serve in Costa, Caffe Nero or tax-dodging Starbucks. This afternoon a visit to Springbok Computers, the laptop shop. Refurbished laptops and desktops for sale up and running with Windows 7. I do not know if they come with Open Office installed, but I am sure they would install if asked. Not that I was in the market for a refurbished machine. They also do repairs. My laptop was running hot, very hot. I hate to think how hot the processor was, as externally was burning hot, too hot to touch. I knew what the problem was, ingestion of dust, maybe the fan needed lubricating, maybe it needed a new fan. I had tried to dismantle, but had not got very far. Best take in for a service. I was pleased I did not dismantle. To get at the fan, the entire machine had to be dismantled. Luckily it was in safe hands. I assumed the fan drew air in through a vent, through the laptop, blowing over the processor, possibly with a massive heat sink. I was wrong, the fan self-contained, a massive copper heat conductor draws the heat away from the main processor and from what I assumed to be the graphics processor, to the fan. No sign of any dust or dirt, apart from what could easily have been dismissed as a felt gasket, maybe a millimetre in thickness, around the fan. That was all that it took to block the flow of air and for the machine to run red hot. The fan was spun, ran freely. No need for a new fan. Thermal conductive paste applied between processor and the copper, and put back together again. Machine turned on, and it worked. Next task, upgrade memory from 6 GB to 8 GB. This was done, memory recognised by the BIOS and yet not recognised by Windows 7. From new, cool air flowed out of the laptop. After running for several hours, warm air flowing out, also running near silent, not a high pitched whistle. Prior to taking it in, a couple of days ago antivirus software run, and today CCleaner and Anti-Malware software. The machine should now run much faster. To prevent the processor melting, the temperature is monitored and it slows down when overheating. There are are very few people I would trust to go anywhere near my laptop. Springbok Computers is one of those rare exceptions. Springbok Computers is located off the High Street below The Stonebow in the centre of Lincoln. Nearby is Coffee Aroma Coffee House. A takeaway coffee was a must. 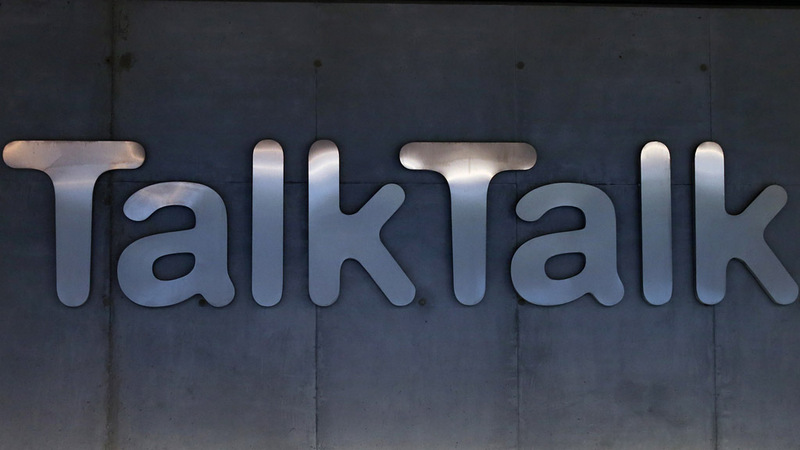 Would you trust TalkTalk with your personal data? Scandal hit TalkTalk has been hit by yet another scandal. End of last it was hit by a hacking scandal. Customers should have been immediately notified and warned, prompt compensation paid, but no Talk Talk would rather take its customers for a ride, and of course take their money. If you get a call from someone claiming to be from TalkTalk, if it seems plausible because they have your account details, are you to blame if the fraudsters who scam money off you? According to TalkTalk, it is their customer who is at fault. Long before this hack, TalkTalks customers have complained of scams and spam. TalkTalk never released details of the hack, and it was not the first time. Now questions are being raised, was it a hack or was it TalkTalk careless with customer data, lack security? If you entrust your personal data, including bank account details to a British company, you expect that data to be held securely, to be encrypted. Not if held by TalkTalk. Personal data was handed to an India call centre. Were customers told their data would be shipped overseas, was their permission sought? Now, according to a Channel 4 News investigation, people working at the call centre have been stealing this data, copying it onto a usb memory stick, selling to criminals, then getting a cut of the proceeds. The call centre is Wipro. TalkTalk is not their only UK customer. Three use an Indian call centre (idiots reading from scripts). Is Three using the same India call centre as TalkTalk? The sensible thing for any TalkTalk customer would be to walk. But if they do, they will be penalised for doing so. Milder than of late, but feeling very cold due to wind chill, the remnants of the storm that dropped a load of snow on US East Coast last weekend. A quick look in Sincil Street, the market, and that was it. There is a board in the market telling passers by of how the Lincoln City Council supports the market. If this is support, I hate to think what would happen were the local council be intentionally destroying the market. Only the reality, is that it is. One only has to look what is happening at the southern end of Sincil Street. The local council in bed with the dysfunctional Lincoln Co-op, is wishing to demolish and buld an unwanted shopping mall. Does Lincoln really need an idenikit shopping mall with the same crap chains as everywhere else? As a result, Sincil Street is blighted, boarded up shops. Prior to planing blight, Sincil Street from 10 am to 4pm was a busy thoroughfare, busier than the High Street, which contains, with the exception of Stokes on High Bridge, the same tacky chains found in every Clone Town. And why was Sincil Street busy? An old street, old buildings, full of quirky indie shops. 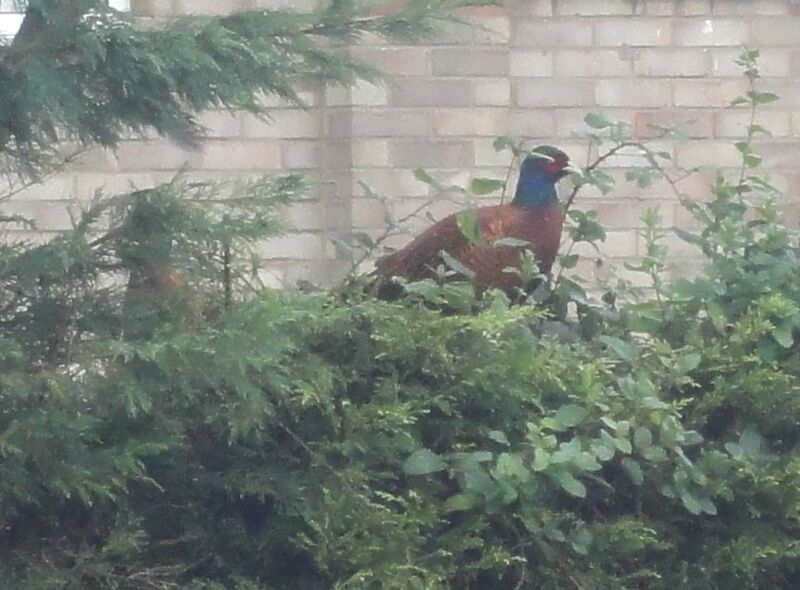 This morning, a brace of pheasants in the garden, sitting on the hedge. I heard sots being fired a few days ago. Maybe the pheasants are refugees from the killing zone. For small businesses and ordinary people, tax is compulsory, for tax dodging corporations like Vodafone, Starbucks, Facebook and Google, it is voluntary. A smug George Osborne at Davos said Goggle only paying £130 million tax showed the success of his tax policies. If an individual or a small business fail to pay tax, they will be prosecuted, forced to pay the tax owed. A small businesses may be forced into bankruptcy by the tax authorises to recover unpaid tax, may face a prison sentence. One rule for ordinary people, small businesses another rule for the wealthy and global corporations. From the viewpoint of George Osborne, it is a major success of his tax policy, aiding and abetting the rich and greedy corporations to dodge tax. HMRC staff who aided and abetted, should be prosecuted for misconduct in public office, a criminal offence that attracts a prison sentence. A six year investigation into the tax affairs of Google. How much did it cost, has it been published? And the result, Google ‘voluntarily’ pay £130 million ‘tax’ for ten years of tax dodging. Max Keiser lost all credibility when a few weeks ago he claimed rouble a strong currency. You could almost see Vladimir Putin pulling the strings. This latest Keiser Report is another example of nonsense being peddled, this time on bitcoin. Skirting over in this discussion that bitcoin has run into technical problems, mere hints of the intercine warfare between core bitcoin developers. And that is only the tip of the iceberg of the problems facing bitcoin. Bitcoin is highly volatile, it lacks utility. Where is the baker where I can use bitcoin to buy a loaf of bread? Bitcoin has been hijacked by spivs and parasites, all out to make a fast buck. One of who was a guest on the programme. And who was this guest? Why none other than Simon Dixon, a vulture capitalist, who co-manages a vulture capital fund trying to make a fast buck out of bitcoin, co-manages with none other than Max Keiser himself. If, and a very big if, the investment goes well, investors are paid, please do not laugh, in bitcoin. We offer a unique model whereby we invest one third of all funds in mining (The process used to create new coins) that is used exclusively to pay daily dividends to investors (in Bitcoin) for as long as the mining process is profitable. This is a great way to accumulate Bitcoins without having to get deep into the geeky part of the process. We mine a portfolio of coins and always look for the most profitable opportunity through our algorithm. Eventually the mining process can become unprofitable, so we utilise the latest technology with mining rigs in Iceland that optimise every penny of profit and we pay the coins generated through mining out to investors until the process is no longer profitable where the costs of running the rigs exceeds the value of the coins produced. Our goal is that if the market conditions are right, investors receive a chunk of their investment back through Bitcoin, unlike any other investment fund. Located in Iceland as one of the few places energy costs are low enough to make bitcoin mining feasible. Max Keiser remarkably coy about the fact he is a bitcoin millionaire, indeed a deafening silence. And where is BitCoin Capital based? Er, the tax dodging Cayman Islands. Invest in a Ponzi scheme, attract more investors to inflate the price, and then you get a return, only the return is in the very thing you are investing. Someone exposing that bitcoin is heading towards a brick wall due to technical problems, is not going to go down too well with a vulture capital fund where two of the people on the programme, including one of the presenters, have a direct vested interest. Yes, we should be very concerned by the activity of all these players, especially the criminal banks trying to grab a piece of the action. The New York Times article ridiculed, was actually quite a good article on the current problems with bitcoin. That Mike Kearn working for R3, irrelevant other than it indirectly highlights one of the problems with everyone associated with bitcoin, all out to line their own pockets. This is not the mindset to be expected of people working on an Open Source, Open Protocol project located in the collaborative commons. This is not the mindset of Open Software, Open Protocols, where you freely contribute your time to the collaborative commons, in order that all can benefit and in turn draw from the collaborative commons. The mindset of the bitcoin developers is the opposite to that in The GNU Manifesto. most of you steal your software. Hardware must be paid for, but software is something to share. Who cares if the people who worked on it get paid? If anything deserves a reward, it is social contribution. Creativity can be a social contribution, but only in so far as society is free to use the results. If programmers deserve to be rewarded for creating innovative programs, by the same token they deserve to be punished if they restrict the use of these programs. … Extracting money from users of a program by restricting their use of it is destructive because the restrictions reduce the amount and the ways that the program can be used. This reduces the amount of wealth that humanity derives from the program. When there is a deliberate choice to restrict, the harmful consequences are deliberate destruction. Bill Gates was arguing for commercial software, Richard Stallman Open Source software. What Richard Stallman saw, was if knowledge freely flows, we all benefit. We contributive freely to the collaborative commons, and in turn draw from the collaborative commons. Opens Source software, for example Apache, runs the internet, powerful supercomputers run on Open Source software Linux. Bitcoin was developed as Open Source, Open Protocol. It has failed as a currency, but it has also failed because the Bitcoin developers have failed to comprehend the basic premise that Richard Stallman outlined in The GNU Manifesto. They are funded by vulture capitalists, parasitic start ups, all who are looking for means to profit from Bitcoin. Bitcoin was an interesting proof of concept, nothing more. Coherent noise. The only use of bitcoin is as a quick and dirty means to transfer out of a currency, across a border. There has been no re-branding of bitcoin as the blockchain. The blockchain is seen as useful in its own right as a means of recording transactions in digital assets, open, secure and transparent. Mycelia to track music uses the blockchain. What relevance the number of transactions of bitcoin, best performing currency? All this tells us is that it attracts the interests of a lot of spivs and speculators out to make a fast buck. How many of these transactions were using bitcoin as a currency to buy goods and services? Bitcoin may work as a vehicle for the nefarious activities of spivs and speculators, as a currency it has been a complete and utter failure. As a currency, the Brixton Pound is more of a success story than bitcoin. But then the Brixton Pound has not attracted the activities of spivs and speculators out to make a fast buck. It is used as a local currency, to buy goods and services within the local Brixton economy. Yes, there is a problem with the banks, lax regulation, they should have been broken up, casino banking split from retail banking, but that is an entirely separate issue, a side show and a distraction from the problems facing bitcoin. In PostCapitalism, Paul Mason exposes the criminal activities of the bankers. He also shows that all the conditions are in place for yet another banking crisis, only this time there is no money to bail out the banks, and if there was there would be riots in the streets. It is a moot point, that with the exception of Iceland, no bankers have gone to prison. Clearly the banks have woken up to the fact that a functioning Bitcoin 2.0 would pose a real threat. The nearest we have to Bitcoin 2.0 is faircoin. Excellent Swedish film looking at economic democracy. We do not have political democracy, we have fake democracy. Political parties who do not represent us, different factions of the Establishment, who impose their candidates on us every few years and we be allowed to tick a box on a ballot paper, is not democracy. Democracy is citizen participation in all aspects of life that effects us. Simplistic understanding of capitalism. It is more than who controls the means of production. It is a complex adaptive system that adapts to external circumstances. It adapts and mutates. Mercantile capitalism, industrial capitalism, finance capitalism. What happens when it can no longer adapt? What comes after? How do we move to a PostCapitalist world? State controlled capitalism, is no better, and is not democratic. Capitalism relies upon the market to function. The market should self-correct. 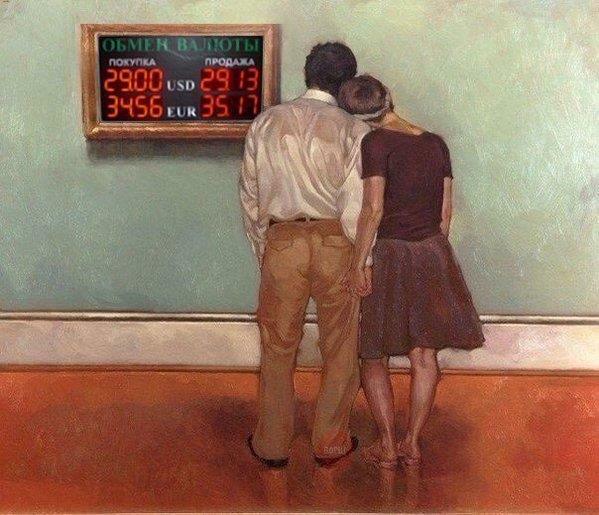 The market failed to self-correct during the banking crisis of 2008. The market relies on price to determine behaviour. What happens when the price falls to zero and there are no signals in the market? Interesting that there are more worker co-ops in the US than Sweden. If you work in a a worker-owned coop, it changes the mindset. If you have a say in the workplace, why not wider society, why not the local Town Hall? I think it was In Business (BBC Radio 4) that last year looked at worker-owned co-ops. They found these businesses to be more efficient than comparable businesses in their sector. The workers, once they got used to this way of working, were more satisfied (though it does not work for all workers). 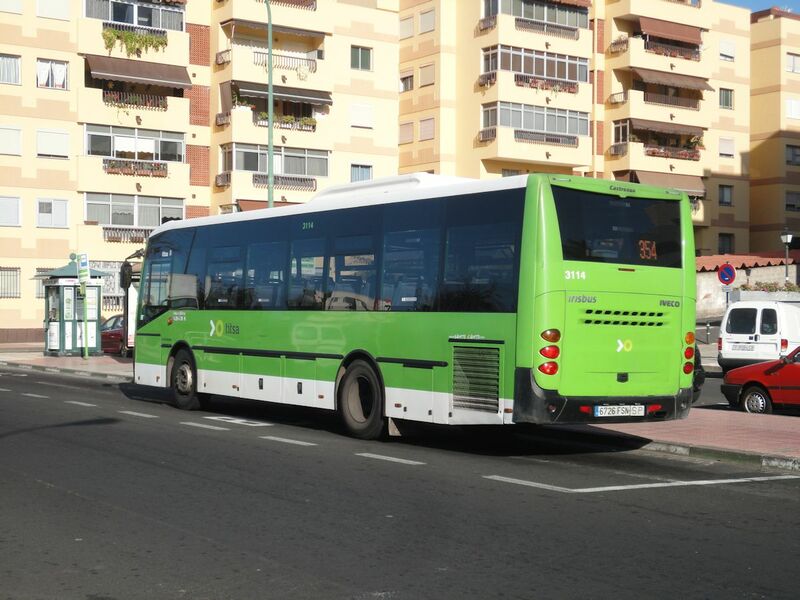 In Tenerife, Titsa, the island bus company, is a worker co-op. 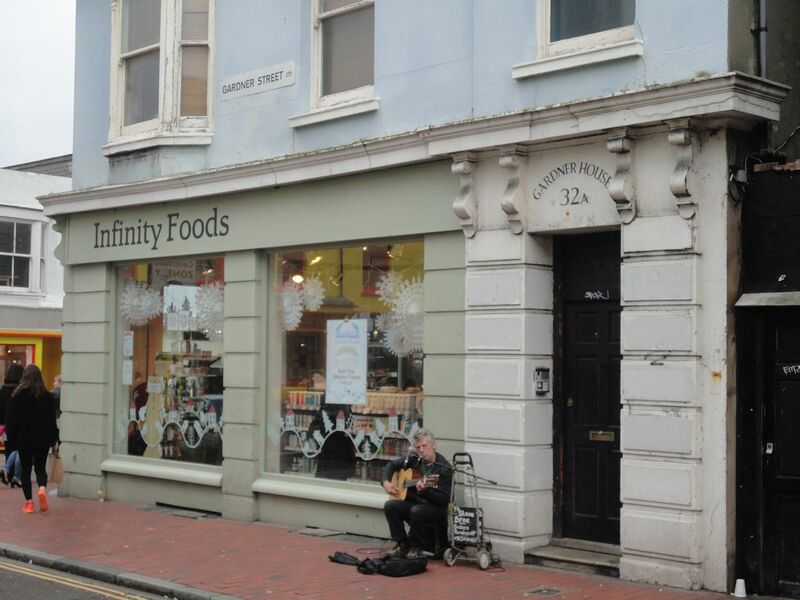 Infinity Foods in Brighton is a worker co-op. They support Seedy Sunday, grant pensioners a 10% discount. The Phone Co-op is a subscriber owned co-op. Robin Hood Hedge Fund, is a co-operative hedge fund. Faircoin, a crypto-currency back by FairCoop, which addresses many of the problems associated with bitcoin, supports co-ops that accept payments in faircoin. If you like what you are reading or wish to support this site, then please feel free to make a donation in faircoins. Also of course feel free to share. It is through sharing the collaborate commons functions. The State taking over companies is not democratic. It simply replaces one owner with another, leads to unaccountable bureaucrats, worthless jobsworths and inefficiency. We must though move beyond worker or consumer owned co-ops. The ownership must be all those who interact with and are effected by the business have a stake, have a say. And that the business contributes to the collaborative commons, the local community. In other words we need Open Co-ops. A traditional businesses hires wage slaves. These wage slaves have no or very little say in how the business is run. The situation of the wage slave has become ever more precarious. Since 1971, the peak of the last Kondratieff Wave, wages have flat-lined, working conditions have deteriorated, now have a low wage, part time, zero hours work force. Neither is it true that wage slaves do not share the risk. If the company is not performing well, hours are cut (or lengthened with no extra pay), wages are cut, and the ultimate risk is being fired. The market economy is not efficient. Nor is it true, worker-owned co-operatives are not efficient. When Argentina defaulted on its debt and the currency collapsed, and factory owners fled the country taking with them what they could loot from the factories, the workers scaled the gates and took over the factories. They ran the factories as a network of co-ops. The factories were more efficiently run. So efficient were they, that the absentee factory owners returned and demanded their abandoned factories back. In Catalonia, there is a network of worker co-ops, all co-operating with each other. If there is a need not being met, either an existing businesses will be persuaded to change to become a co-op, or a new co-op will be formed to address that need. Jeremy Corbyn has suggested Living Wage be paid by companies if they are in profit, if they refuse, they will not be permitted to pay a dividend to shareholders. A step in the right direct, but open to abuse and manipulation. Pay ever more obscene executive bonuses, fiddle the books, or simply refuse to pay and accumulate a cash mountain. Corporations are already sitting on a £650 billion cash pile due to tax dodging and lax tax regime. If a company is in profit, distribute 10% of that profit each year as shares in the company to be held collectively by the workforce. Jeremy Corbyn needs to look at setting up co-ops, granting the legislation and other support needed. A network of co-ops, that co-operate, not compete, share information, all benefit from wealth creation. Big Business strives to create monopolies, cartels, price fixing. TTIP which is being negotiated in secret by the EU is an extreme example. But it does not have to be. The Big Six control the energy market in the UK. Replace with community owned and controlled local area networks into which feed renewables guaranteed a fair price, consumers pay a fair price, surplus generation is fed to other local grids via a publicly owned National Grid, any profit either ploughed back into the local network or used to fund local community projects. The market works at the level of a market stall, near equal players, availability of information. It does not work for the labour market, it does not work for the capital market. The employer dominates the labour market and the banks dominate the capital market. The modern workplace is increasingly that of precarious workers in low paid, temporary employment performing soul destroying jobs that contribute nothing to the well being of society or the environment, with below them hungry unemployed and immigrants only too happy to take their jobs for even lower pay or atomised workers in reality serfs for death star apps working at well below the legal minimum wage. Coupled with parasitical marketing and finance industry, one cons us to buy the consumer junk we do not need, the other hires us expensive money to buy the junk. Workers are engaged not only in low paid degrading soul destroying jobs, but what they are doing is also meaningless, has no purpose, other than generating a return for capital. Workers who are a step above the precarious worker, are tethered to the workplace 24/7 via a smartphone. Harvard Business School churns out identikit clones, lacking in creativity, innovation, who have not a clue how to run a business, but can read a spread sheet, give a power point presentation. A network enables collaboration, co-operation. With a network of co-ops, the currency is social capital, not money. The market could not produce Wikipedia (whatever we may think of the content). If the market tried, how could it compete with free? Top story Collaboration & Coordination (Sunday 24 January 2016). You are currently browsing the Keithpp's Blog blog archives for January, 2016.